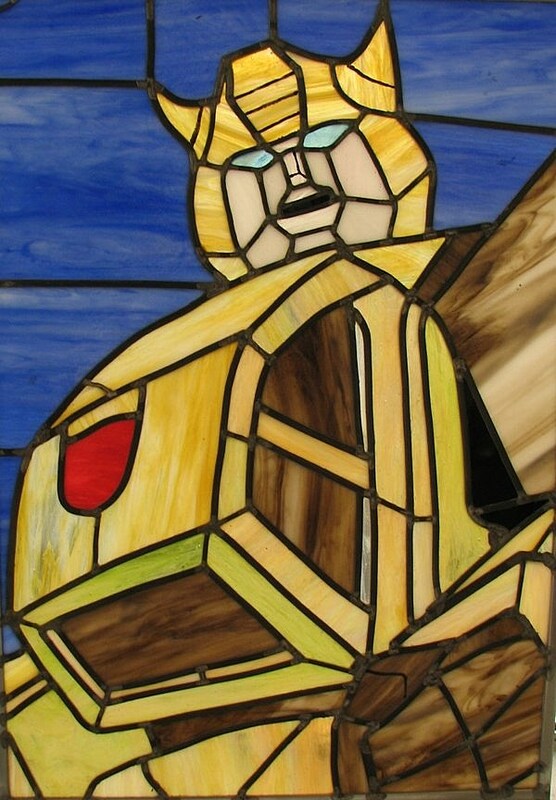 By their very definition, Transformers are capable of transforming into a great many things from sophisticated fighter jets to swift cheetahs sprinting on an open field. 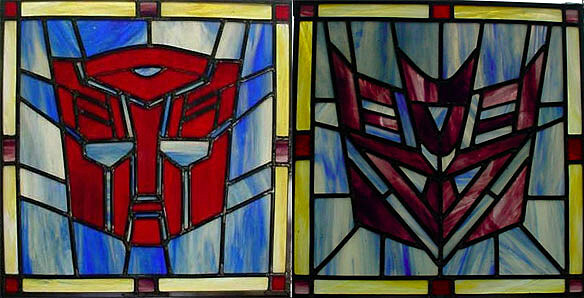 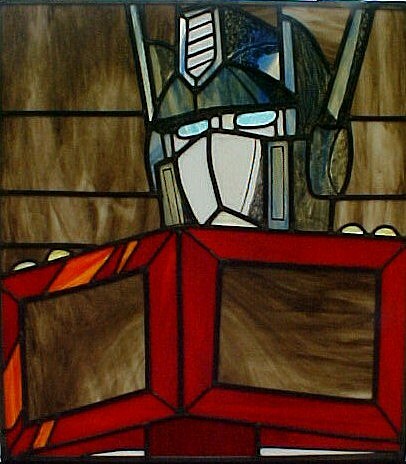 But this might be the first time I've heard of Autobots and Decepticons transforming into stained glass windows. 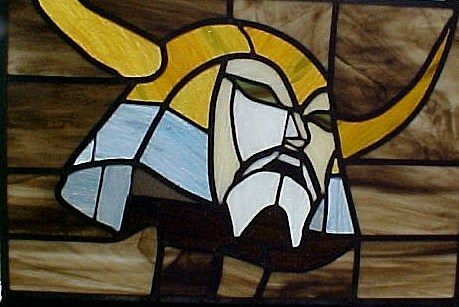 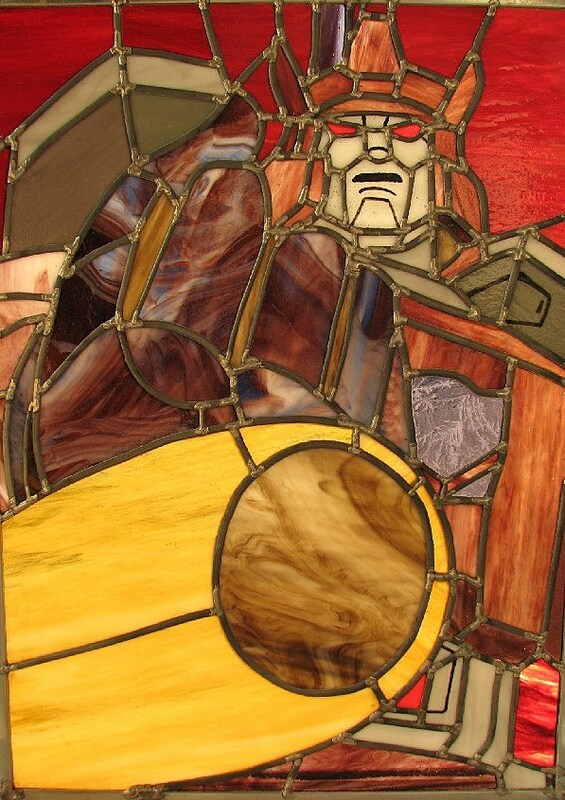 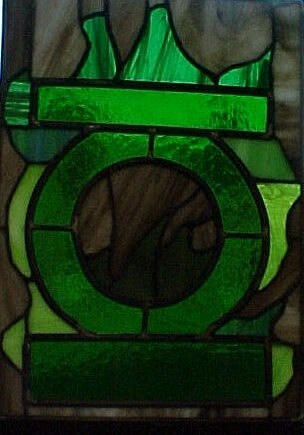 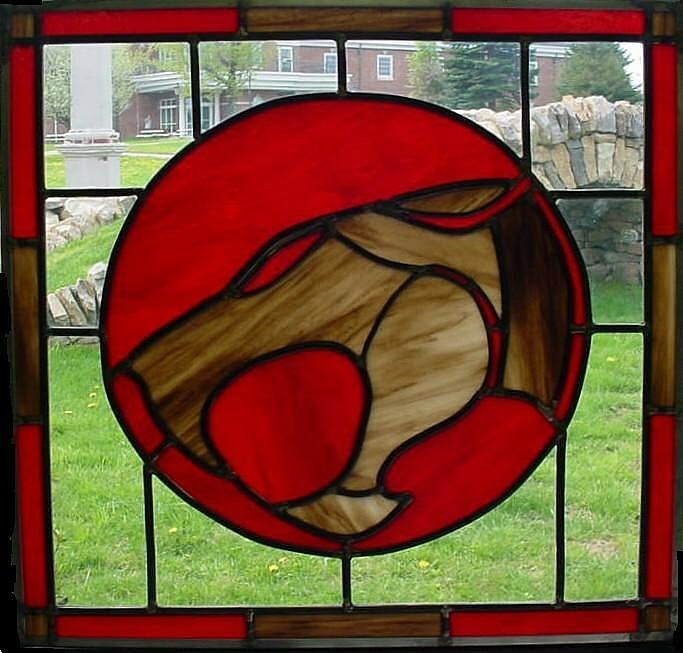 Neatorama refers readers to Timothy Miller's stained glass art, a collection that includes several comic book shout outs including the Superman, Green Lantern, and Thundercats logos, as well as some brilliant Transformers work like Shockwave, Bumblebee, Unicron's severed head and The Autobot Matrix of Leadership. 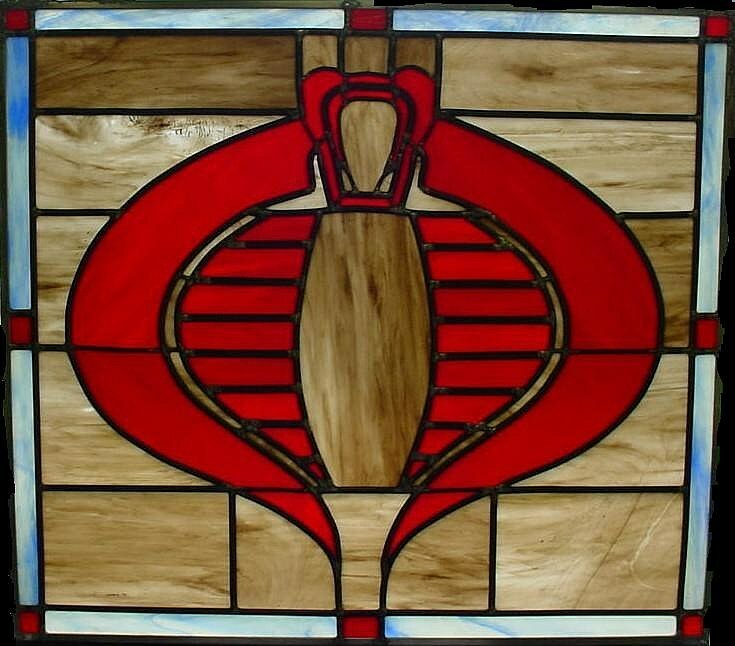 Very neatorama indeed. 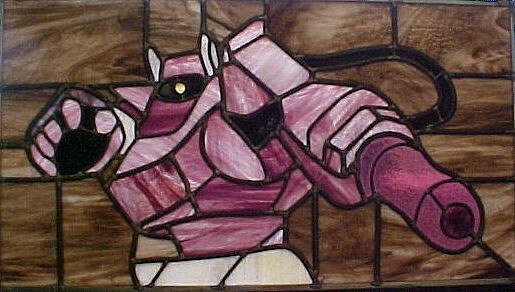 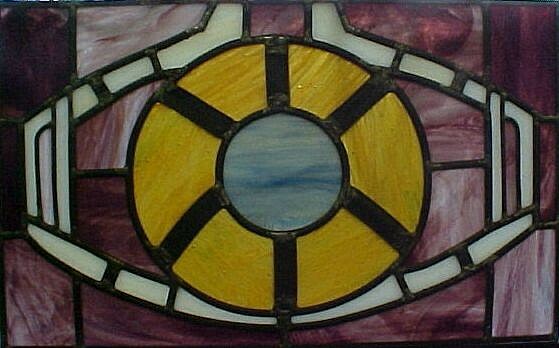 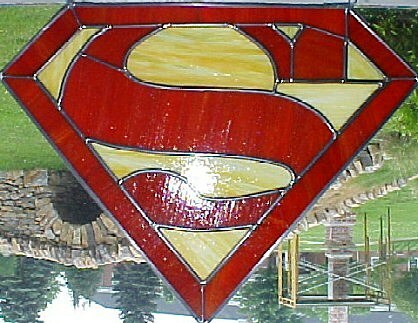 Check out more of the stained glass nerdery after the jump!